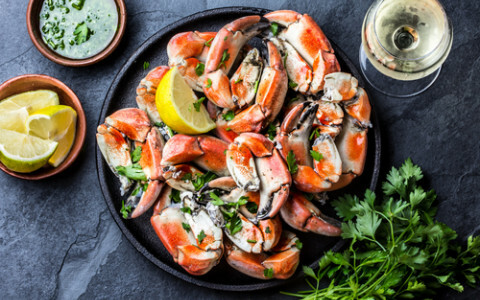 It’s April, and time to celebrate spring at three of the city’s favorite events: Mermaid Mondays, the Farmer’s Market birthday bash, and the She-Crab Soup Classic. First, join us at the Virginia Aquarium and Marine Science Center for Mermaid Mondays. Watch mermaids swimming in the Red Sea Tunnel at this after-hours event, held each Monday from April 8-29. You’ll be greeted by King Neptune, have a chance to visit with a mermaid, and enjoy live musical performances, a mermaid puppet show, and other activities. Next, head over to the Virginia Beach Farmer’s Market on April 13 for their birthday bash. Honor the Market’s history of providing seasonal and locally sourced fruits, veggies, seafood, dairy products, candy, baked goods, and much more. Lastly, don’t miss the annual East Coast She-Crab Soup Classic at the 24th Street Stage on April 13. This joyous fete featuring one of the region’s beloved seafood specialties will offer a myriad of restaurants serving their version of She-Crab Soup in an effort to win the People’s Choice Award, determined by a panel of four leading regional experts. This event usually sells out, so snag your tickets soon. 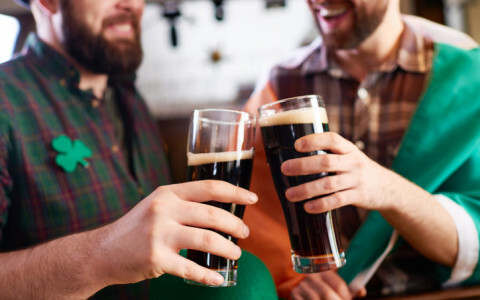 This March, celebrate Saint Patrick’s Day in true Irish fashion and indulge your inner leprechaun with a visit to some of the area’s best distilleries and breweries, three of which are listed here. First, check out the only craft distillery operating from within one of the city’s finest historic hotels and a former Prohibition speakeasy: the Tarnished Truth Distilling Company. Specializing in hand-crafted, small-batch spirits, they offer tours, tastings, cozy fireside seating, and craft cocktail classes. Next, be sure to stop by Reaver Beach Brewing for excellent house-brewed IPAs, Belgians, Stouts, and some of the best sours in Virginia Beach, along with 18 seasonal brews on tap. Savor a glass of Tower of Bones, Diablo Rojo, or the mango, clementine, and grapefruit combination of Hip-Hoptopus. Lastly, head over to the ViBe District for a visit to the locally owned and operated Chesapeake Bay Distillery. Try a taste of handcrafted Ghost Pepper Vodka, Chick’s Beach Rum, Spirits of the Blue Ridge Vodka, Cureo Coffee Liqueur, or Dr. Stoner’s Smoky Herb Whiskey. Don’t miss “Meet the Mixologist” - their monthly “Happier Happy Hour” event featuring crafty cocktails, tips, and recipes. Named as one of the “25 Most Romantic Cities in America” by OpenTable, Virginia Beach offers an abundant array of romantic ideas for you and your valentine, and here are a few of our favorites. First, get into the “spirit” of the day with a visit to the only craft distillery operating from within one of the city’s finest historic hotels: the Tarnished Truth Distilling Company. Formerly a Prohibition speakeasy, the company specializes in hand-crafted spirits and offers tours, tastings, and craft cocktail classes. Next, nature lovers will find an idyllic setting for romance at the Back Bay National Wildlife Refuge. Hike, bike, fish, kayak, and canoe your way around, completely surrounded by natural beauty. Lastly, show some love for our marine mammal friends with a Valentine’s Day whale-watching cruise. Humpback whale sightings are guaranteed through February 15, and you can watch from an upper deck, or from the warmth and comfort of a heated indoor cabin while enjoying snacks or a cocktail from their full bar. Along with the whales, you may also see dolphins, seals, birds, and many other species; making this one unforgettable journey. This month, Virginia Beach is offering up some fun and fabulous events for your consideration and here are three of our favorites. First, join us at iFly Virginia Beach on January 11-13 for the 2019 US Indoor Skydiving Open National Championship. The winners of this competition will compete in the World Championship of Indoor Skydiving held in France later in 2019. 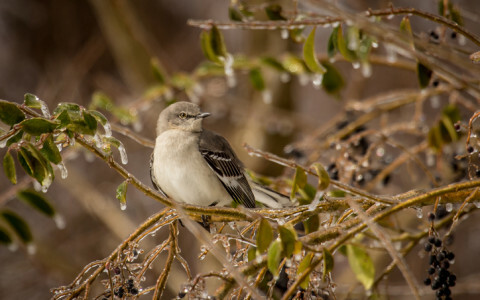 Next, birders and nature lovers will want to heed the call of the wild on January 25-27, when the Virginia Beach Parks & Recreation Department presents the 2019 Winter Wildlife Festival. A variety of exhibits, excursions, and more will be offered, including birding opportunities for newbies and for the experienced. A coastal birds workshop and a birding boat trip on the Chesapeake Bay are also planned, along with an open-air boat trip to the habitat of wintering waterfowl. To check out the available activities, stop by the Princess Anne Recreation Center. Lastly, come out to the Virginia Beach Convention Center for the Coastal Virginia Winefest 2019 on January 26-27. A selection of wines from Virginia wineries will be available, along with a craft beer garden, a grape stomp, arts and crafts, specialty foods, live entertainment, and much more! The glorious majesty of Handel’s “Hallelujah Chorus,” the warm notes of a brass band playing Christmas music, and the combination of a powerhouse symphony and chorus presenting their energetic renditions of our favorite holiday tunes – you can hear all of this and more this month, when the Virginia Symphony Orchestra and Chorus presents an assortment of musical performances to celebrate the holiday season. Their opening Christmas offering is Handel’s Messiah, the composer’s masterpiece that brings to life the narrative of the Messiah. “Handel’s Messiah” will be performed at Regent University on December 14. Also on December 14, the VSO brass and percussion sections will present “Holiday Brass” at the St. Bede Catholic Church in Williamsburg. The concert will feature seasonal music in a variety of styles. Lastly, join us for “Holiday Pops!” at the Sandler Center for the Performing Arts on December 22. VSO conductor Robert Shoup will lead the chorus, along with some special guests, in a performance of traditional carols, and even a few pleasant surprises. Get ready to have the merriest of holidays, as Virginia Beach offers up our best events and attractions, two of which are listed here. First, grab that holiday shopping list and head over to the Virginia Beach Convention Center on November 23-25 for the 37th Annual Virginia Beach Christmas Market. You’ll find an amazing array of arts and crafts, including everything from original art to hand-crafted jewelry, and holiday ornaments, along with furniture, candles, chocolate moonshine, baskets, gourmet gift items, pottery and ceramics, door prizes, pictures with Santa, and much more. Next, join us at the Virginia Beach Boardwalk for a beloved holiday tradition when “Holiday Lights at the Beach” happens on November 22 – December 30. Drive through an illuminated wonderland full of dazzling displays of local sea creatures, Santa and his elves, and other enchanting exhibits. Be sure to tune in on your car radio to listen to your favorite holiday tunes as you cruise. You’ll see why this event has been named one of the “Top 20 November Events” by the Southeast Tourism Society! “Holiday Lights at the Beach” will open every evening at 5:30 p.m.
October offers some fabulous events for our guests, and we know it’s hard to choose from such an abundance of activities. With that in mind, a few suggestions are listed below. October 3-6: Calling all quilters and art lovers – check out the American Quilter’s Society Quilt Week show at the Virginia Beach Convention Center. at the Virginia Beach Convention Center. You won’t find any bland ‘wedding ring’ or ‘log cabin’ patterns – all 600 of these are so creative, you’ll agree they are truly fabric art. October 20-21: More than 50 craft brews from over 25 breweries will be the stars of the Virginia Beach Craft Beer Festival at 31st Street Park. Eats can be purchased, and live music will keep the party hopping. October 27: A Halloween Spooktacular concert and fun fest will be presented by the Virginia Symphony Orchestra at the Sandler Center for the Performing Arts. Kids of all ages can dress in their Halloween costumes and enjoy a ghoulish good time with crafts, music, and activities before this “creepy” concert. This month, guests at the Hampton Inn can select from an abundant array of fun and family-friendly events. To help you choose, here are a few suggestions - first, wax up your boards and hit the waves for Neptune's Surfing Classic on September 8-9, and get ready for some serious imbibing at the annual Fall Wine Festival on September 15-16. Next, head over the Virginia Beach Farmers Market on September 22 for an “Apple Extravaganza.” Hank Martin’s Bluegrass Band will keep the tunes going, while you and the family browse the crafts, the apples, and more. “Pictures at an Exhibition” will feature a different kind of music on September 23, when the Virginia Symphony kicks off their new season with Mussorgsky’s hastily-written, but most-celebrated composition. Lastly, get ready to celebrate the end of summer like a rockstar at the 45th Annual Neptune Festival’s Boardwalk Weekend on September 28-30. King Neptune himself will reign over the final days of his namesake festival, with such events as the Neptune Festival Grand Parade, Neptune’s Atlantic Regatta, the Boardwalk Weekend Art and Craft Show, fireworks, loads of live music, and much more! It’s hard to believe, but summer is slipping away quickly. Fortunately, here in Virginia, the temperature is moderate for the next few months, so there’s plenty of time left to hit the beach - one of our award-winning beaches, that is. We’re proud that Virginia’s beaches were voted top ten winners by USA Today, including those nearby. First up and ranked #7 is our own Virginia Beach and the Virginia Beach Boardwalk. A jewel on the shore of the Atlantic, the Boardwalk also offers live nightly entertainment during the summer, a separate bicycle path, and the ever-popular statue of King Neptune towering above. Next is #6-ranked Sandbridge Beach. This quiet and pristine beach is near the community of Sandbridge. Finally, the #10-ranked family-friendly Buckroe Beach in Hampton lines the shores of Chesapeake Bay. Additional top ten beaches include Colonial Beach, Yorktown Beach in Williamsburg, Cape Charles Beach, Assateague Beach on Chincoteague Island, the Bethel Beach Natural Area Preserve in Mathews and Westmoreland State Park in Montross. Be sure to visit one of our award-winning beaches soon - You’ll see why Virginia is for beach lovers! It’s officially summer fun days and time for the ever-popular Family Great Adventure Series. Every Thursday through August 23, the beach at 26th Street will be the site of themed family fun and films. Join us on the oceanfront for interactive adventures and mystery-solving. Kids of all ages can dress up as their favorite movie character, as they use their mental and physical skills to compete for the trophy. Afterward, settle down on the beach and watch a movie with a similar theme to the contest. There’s a different theme each week throughout July and August. July 12’s challenge is “The Treasure of King Neptune,” when contestants race to solve all the clues and uncover the treasure. The evening’s movie is “Holes.” On July 19, participants can race RC cars on the boardwalk for a grand prize before watching “Cars 3.” The lineup also includes a “Journey of the Prince” competition along with the movie “Cinderella,” and a “Rowdy Roundup” of toys to go with the movie “Toy Story.” All movies and activities are free of charge and open to the public. For additional information, call (757) 385-7873. DJs will keep the party going between and after the headline acts, and dance troupes such as the Ballet Folklorico Mexican will also perform. Don’t miss the Zumba Marathon on Saturday morning, where many of the region’s best instructors will be on hand to provide pointers and show off their own masterly moves. Also, check out the Latin Village in the 24th Street Park for a variety of vendors and additional activities. Don’t forget that proceeds from the Latin Fest help to support the Virginia Legends Walk. For more information, click here. Get ready to kick off your shoes and dance in the sand under a canopy of stars as you celebrate the return of summer by joining us at the annual Beach Music Cruise-In, from May 18-May 20. An entertaining homage to the days of sweet rides, cool music, and hip guys and gals, the cruise-in will feature three days of free concerts by some of the most popular Beach Music bands on the East Coast, along with displays of hot rods, street machines, and classic cars. Cool car prizes include a Best in Show trophy. A huge 20-foot inflatable jukebox will be set up on the beach, and thirsty and hungry festival-goers will have a variety of beer and food tents to choose from. Among the bands keeping the party rockin’ will be The Embers featuring Craig Woolard, Bill Deal’s Original Rhondels, the Chairmen of the Board featuring Ken Knox, The Entertainers, and Band of Oz. Proceeds from this event will benefit the Virginia Legends Walk. For more information, call (757) 385-7873. “Alice in Wonderland,” Mahler’s 2nd Symphony, and “Kiss Me, Kate” - what a glorious treat for the ears and eyes this month at the Sandler! The fun begins when Ballet Virginia International presents “Alice in Wonderland” on April 14. An enchanting mix of classical ballet and modern influences, you’ll savor every moment as you follow Alice down the rabbit hole to Wonderland; while visiting the Cheshire Cat, the Mad Hatter, and the Queen of Hearts along the way. For tickets and details, click here. Next, be sure to pick up tickets for Mahler’s 2nd Symphony on April 21. Presented by the Instrumental and Vocal Music departments at Performance Hall, tickets can be purchased here. Lastly, the Virginia Musical Theatre presents “Kiss Me, Kate” on April 27. A longtime Broadway favorite, this brilliant and hilarious adaptation of Shakespeare’s “The Taming of the Shrew” features music and lyrics by the legendary Cole Porter, along with a delicious plot of romance and conflicts between the four leads and some inept gangsters. For tickets and more info, click here. The Virginia Aquarium is home to more than 10,000 animals, including sharks, sting rays, cobras, river otters, sea turtles, dolphins, harbor seals and many more, but they are particularly proud of their newest residents – two male Komodo Dragons that were actually born at the facility in 2016. Komodos are an endangered species that rarely breed in captivity, so the staff honored the occasion by giving the two babies Indonesian names: Bejo, meaning “lucky” and Kado, meaning “gift.” They are lucky gifts indeed, having already grown to triple their birth sizes of 16 and 18 inches long, and only .13 and .23 pounds. They are expected to continue to grow to a total length of 10 feet and weigh over 300 pounds each. Although the pair’s mother died from a reproductive infection, Teman, their father, is currently in residence, and is one of the largest lizards in the world. The Virginia Aquarium & Marine Science Center also features interactive exhibits, marshlands, nature tours, a National Geographic 3-D Theater, and behind the scenes tours. For details, call (757) 385-FISH (3474), or click here. This Valentine’s Day, make it a memorable one with a romantic getaway to beautiful Virginia Beach. Things are always jumping here, with an abundance of entertainment, events, and attractions for every taste. Begin your getaway however you choose, but be sure to stick around for the Old Beach Art Market on February 17. This monthly Saturday morning street fair (weekly from May – September) features a wide array of artists and artisans selling artsy and craftsy items representing many different creative genres. Browse to find unique selections of crafted glass, mixed media paintings, jewelry, yard art, handcrafted functional ceramics, and custom-designed and hand-built surfboards. Joe McMurray, a blues, jazz, acoustic guitarist/singer-songwriter, performs and offers free 10-minute guitar lessons to any and all takers. The art market also joins with the Old Beach Farmer’s Market and Old Beach Green Market, both of which are certified Virginia Green and encourage eco-friendly practices, so be sure to bring your reusable shopping bags. For a list of artists, vendors, times, and other information, click here. Famous for his stunningly-beautiful creations of glass art, Rene Jules Lalique was, and still is, renowned for his Art Nouveau jewelry designs and even automobile hood ornaments. His designs had an enormous influence on designers and artists of the previous century, and his magnificent Art Deco glass art continues to command praise and premium prices from collectors and everyday shoppers alike. In the exhibit, “Rene Lalique: Enchanted by Glass,” the Chrysler Museum offers its visitors a detailed look into Lalique and his work. This exhibit will be showing through January 21st, 2018. Also, the exhibit, “A New Deal Near Here: Depression-Era Photography from the Chrysler Museum” will continue to be on display through April 1st, 2018. This exhibit, currently showing at the Willoughby-Baylor House, takes an historic look back at the experiences of the people of Hampton Roads during the Great Depression – their trials, triumphs, and how they coped and came through. Both exhibits are free of charge. For details, call (757) 664-6200, email: info@chrysler.org, or click here. Virginia Beach offers a myriad of annual holiday festivities to suit everyone, and the three listed here are only a few of our favorites. First, experience the timeless beauty and the magic of the season at the Sandler Center with a performance of “The Nutcracker.” Daniel W. Boothe will be conducting the live orchestra from Symphonicity as a brilliant accompaniment to this classic ballet. Performances are December 15th, 16th, and 17th, with student matinees on December 13th, 14th, and 15th. For tickets and details, click here. Don’t miss the world-famous Vienna Boys Choir’s performance of “Christmas in Vienna.” This special holiday event will presented by Virginia Arts Festival at Performance Hall on Thursday, December 21st, at 7:30 p. m. For details, click here. Join in with the pros at the 35th Annual Handel's Messiah Sing-A-Long at Performance Hall. Presented on Saturday, December 23rd by Symphonicity, this holiday favorite invites the audience to perform the choral sections of the piece, with the solo recitatives and arias done by four professional soloists. The doors open at 7:00 p.m., and the performance will begin at 8:00 p.m. For details, click here. Join us at the Virginia Beach Convention Center from Friday, November 24th through Sunday, November 26th, for the 36th Annual Virginia Beach Christmas Market. Named one of the "100 Best Classic and Contemporary Craft Shows in the United States," this traditional kickoff to the holiday season features over 250 of the country’s most accomplished crafters and finest artisans from over 25 states. Find that special gift from a wide selection of fine arts, fiber arts, pottery, jewelry, wood, toys, Christmas collectibles, and more, including pictures with Santa. Over 25 “Tastes of the Holidays” food vendors will be on hand, and there are ATMs available so you won’t run out of cash. This event benefits both the Food Bank of Southeastern Virginia and the Red Cross by offering $1.00 off admission prices for attendees who donate a can of non-perishable food, and free admission for those who give blood. The Red Cross will be at the center all three days from 9:00 a.m. until 3:00 p.m. Market hours are 10:00 a.m. – 6:00 p.m. on Friday and Saturday, and 10:00 a.m. – 5:00 p.m. on Sunday. For details and tickets, click here. Ranked by TimeOut Magazine as #14 in its listing of the “15 Scariest Haunted Houses in the U.S.,” the Ferry Plantation House has good reason for its place on the list. The 11 or so spirits reputed to haunt the house and grounds include Native Americans, former slaves, and shipwreck victims. But, the most famous ghost is that of Grace Sherwood. Known as the “Witch of Pungo,” Grace was a farmer, midwife, herbalist, and animal lover, who was accused of witchcraft and brought to court numerous times, before being tried by ducking and convicted in 1706. Grace’s body is rumored to be buried on the grounds. Her trial is re-enacted annually, and a full tour, known as “The Stroll of Lost Souls” is conducted. The home’s interior and some original furnishings have been preserved, but it’s the southwest section that seems to produce many of the interactions with apparitions. Although Grace was exonerated 300 years later, and a statue in her honor was unveiled in 2007, many visitors to the area report hearing her call to her dog, Tobias, or seeing a woman with long, wet hair on the banks of the river at night. To join the tour, or for more information, click here. The 9th annual Save the Waves Film Festival will wind up its east coast tour on Saturday, September 30th at Wave Riding Vehicles in Virginia Beach. The festival’s focus is on surf and water-based documentaries that motivate the viewer to join the effort to protect our coastlines. The festival will present the world premiere of documentaries and surf films, along with a cash bar featuring Suerte Tequila, Tito’s Vodka, and Bottle Craft Beer. Live music from Bennett Wales will keep the party rockin’, and there will be a raffle at intermission, with all proceeds going to international coastal conservation programs. The festival begins at 6:00 p.m. with a VIP pre-party and filmmakers’ reception before the doors officially open at 7:00 p.m. A short films program starts at 7:45 p.m., with the intermission at 9:00 p.m., and the feature films showing at 9:45 p.m. The film lineup includes the following documentaries: “Fish People,” directed by Keith Malloy, director Cyrus Sutton’s “Island Earth,” “Mas Afuera,” directed by Pato Mekis, and “Under an Arctic Sky,” by director Chris Burkard. For tickets and more information, click here. This month, guests of the Hampton Inn can stay frosty with one of the city’s most anticipated summer events. On Saturday, August 26, Neptune’s Park will host the third annual Neptune’s Coastal Craft Beer Festival at 31st Street and Atlantic Avenue. From 1:00 p.m. until 6:00 p.m., both beer lovers and brewmeisters will gather to celebrate the art of the craft brew. More than 30 breweries and vendors will offer over 65 different beers. Virginia beers and cask ales will be showcased, along with national and regional craft beers. Cask ales will be offered by the Alewerks Brewing Company, Back Bay Brewing, O'Connor Brewing Co., Smartmouth Beer, The Bold Mariner Brewing Company, and the Young Veterans Brewing Company. Craft beer brewers will include Center of the Universe Brewing, Devils Backbone Brewing Company, Harpoon Brewery, and many more. McKenzie's Hard Cider, Bold Rock Hard Cider, and Potter's Craft Cider will be available. Malbon's BBQ "The Flying Pig" and Bro's Fish Tacos food trucks will provide the eats, and Nate Sacks & the Life Hacks and the Ben Phelps Project will kick out the jams. For details and tickets, click here. This Independence Day, the air will be filled with the smell of hot dogs and hamburgers sizzling on grills, blaring horns and crashing cymbals will accompany bands marching to the sounds of Sousa, and a dazzling array of fireworks will illuminate night skies nationwide as we come together to celebrate our most American holiday. Guests of the Hampton Inn are invited to join thousands of other visitors on our oceanside boardwalk, or almost anywhere on the beach, for our fun, free, and family-friendly fireworks celebrations all summer long. First, don’t miss the Stars & Stripes Explosion on July 4th from 8:00 p.m. – 10:00 p.m. at the 17th Street Stage, the 24th Street Stage, and the 31st Street Stage at King Neptune’s Park. Live performances will feature a variety of music, and tribute bands will honor some of the most famous names in the industry. The music gives way to fireworks at 9:30 p.m., for a spectacular, thirty minute display. After the holiday, fireworks displays will be held from 10:00 p.m. – 10:30 p.m. on July 9th, 12th, 16th, 19, 23rd, 26th, and 30th. Additional displays will be held twice weekly through the end of August. This year, forget the ties, the after-shave, and the campy boxers, and give Dad something he'll remember for years to come. Indulge his playful side, his love of adventure, and his competitive spirit with the exciting gift of indoor skydiving. Dad can experience the sensation of outdoor skydiving without the risks, as the thrill of free falling becomes a safe reality. A vertical wind tunnel simulates genuine conditions as skydivers “fly” on a smooth column of air; landing securely and easily. Located near the Hampton Inn, iFly Virginia Beach is one of many places now offering indoor skydiving. Termed “bodyflight,” it is rapidly gaining momentum with traditional skydivers and other sports enthusiasts around the world. Although it packs a wallop, it’s safe enough for the youngsters, and something the entire family can enjoy together. We suggest booking a family getaway, and visiting additional local and regional attractions. For information on reservations and special getaway packages, call (757) 655-7116, or visit: http://www.hamptoninnvirginiabeachoceanfront.com/offers. Every May, the culture and community of craft brews and brewers are celebrated with American Craft Beer Week. Celebrated this year from May 15 through May 21, this has become the largest national effort with a focus American craft beer and its booming market. Virginia Beach has a reputation for excellent craft brews, including those produced by such noted brewers as Back Bay Brewing Company, Commonwealth Brewing Company, Green Flash Brewing Company, Pleasure House Brewing, Reaver Beach Brewing Company, and Wasserhund Brewing Company. Guests of the Hampton Inn in Virginia Beach can celebrate with our special Craft Beer Experience. Book your stay soon and receive a discounted rate, along with oceanfront rooms, free parking, a local craft beer welcome basket, a guided tasting tour for two at three of our local breweries, a custom Virginia Beach brewery map and tasting notes sheet, and a voucher for a 64-ounce growler from a local brewpub. To schedule your own Craft Brew Experience, call us at (757) 655-7116. Fine art, handcrafted jewelry, glass, photography, candles, woven baskets, clothing, toys, metalwork, wood crafts, and specialty foods are among the many items that will be featured at the 31st Annual Virginia Beach Spring Craft Market. Over 150 artists and craftspeople from all over the country will be exhibiting a large assortment of indoor and outdoor home décor, including birdhouses, outdoor furniture, pottery, wind chimes, and garden statuary. Meet the artisans as you shop, and don’t forget that each purchase supports them and the heritage of great American craftsmanship. Participating vendors include Chocolate Lab, featuring handmade treats for dogs and humans, D & L Weathervanes, The Tighty Whitey Soap & Candle Co., and seacoast-inspired paintings by Tamara Seraph. The market will be held on Friday and Saturday, April 28th and 29th, from 10:00 a.m. to 6:00 p.m., and Sunday, April 30th, from 10:00 a.m. to 5:00 p.m. at the Virginia Beach Convention Center. This March, check into the Hampton Inn for two fabulous Virginia Beach events. First, kick off your Saint Patrick’s Day celebration with a family-friendly marathon weekend. And, don’t miss 1960s rock legends the Zombies in concert the following Tuesday. This annual St. Pat’s tradition features events for all ages and fitness levels throughout the weekend, and all are welcome to cheer on 30,000 green-clad runners competing in the Shamrock Marathon. Afterward, check out the beachfront finish line celebration with live entertainment, Murphy’s Irish Stew, technical race shirts, and Yuengling beer. For details, email: info@shamrockmarathon.com, or call (757) 412-1056. Although their music was released in the 1960s, the Zombies’ hits have been covered over the years by such artists as She & Him and Tom Petty. Their tunes have become favorites for fans of all ages, from Boomers to Generation Z. The new edition of the group was featured on Late Night with Jimmy Fallon, and will perform at the Sandler Center. For details, email: marketing@sandlercenter.org, or call (757) 385-2787. Calling all Jacks and Jills; don your 1940’s duds and flyboy attitudes and brush up on your Lindy Hop and Shag. The Museum is clearing out the vintage planes and transforming the hangar into a dance floor, WWII style. A live band will keep the Big Band sound hopping, so be sure to report for duty and dance the night away. This event is always a sellout, so call (757) 721-7767 to snag your tickets ASAP. Join JoAnn and the Orchestra as they celebrate Valentine’s weekend with “A Night at the Movies,” consisting of iconic selections direct from 20th-century Hollywood. Concert highlights will include music from George Gershwin, Bernard Herrmann, and John Corigliano, and their respective film scores of “An American in Paris,” “The Red Violin,” and “Vertigo.” There will be one show only from 2:30-4:30 p.m. Call (757) 385-2787 for details and tickets. This month, the Virginia Department of Game and Inland Fisheries is sponsoring a Winter Wildlife Festival. From January 20-22, you can join experienced guides for citywide excursions to get a closer look at the various species of winter wildlife in their natural surroundings. Whales, dolphins, seals, seabirds, and other waterfowl either make their home here year-round, or migrate annually along the Atlantic Coast. The festival exhibit hall and additional walk-up workshops will be open on Saturday, January 21st, from 10:00 a.m. to 4:00 p.m. Dedicated children’s activities will be available at the Princess Anne Library. 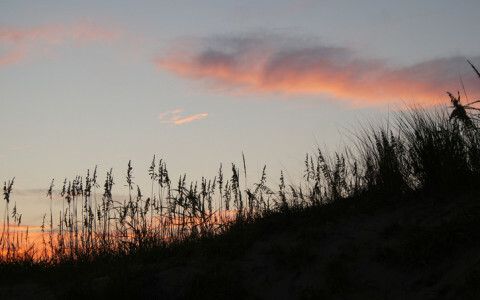 View the list of excursions and register at: www.VBgov.com/WinterWildlife. For a closer look at these majestic marine mammals, climb aboard the Rudee Flipper or The Atlantic Explorer for ongoing whale-watching cruises through mid-March. View Humpback whales during their migration through the coastal waters of Virginia Beach, along with seals and dolphins, during this informative and exciting tour. For details, call the Virginia Aquarium’s Sea Adventures (757) 385-3474, or Rudee Tours at (757) 425-3400.